Barry Lee Guthrie, 67, passed away suddenly on Friday, December 28, 2018, while out playing golf with his father in law. Barry moved to Dunnellon in the fall of 2008 and immediately made lifelong friends in Grand Park North. He had retired as a supervisor for General Motors. He met his future wife Lori at Jay Lanes Bowling Alley in Douglassville, Pennsylvania in 1979, and they married in 1982. In addition to Lori, Barry is survived by his 4 children, April Michelle Guthrie Farmer, Robert Andrew Guthrie, Brian Carson Guthrie, and Kristine Anne Guthrie Swartz; his sister Charlotte; and his “furry” child Madison, AKA Maddie. He was preceded in death by his sister Earlene and two brothers. A gathering of friends and family will be held from 1-2 PM on Sunday, December 30, 2018, at Roberts Funeral Home of Dunnellon, 19939 E. Pennsylvania Avenue. 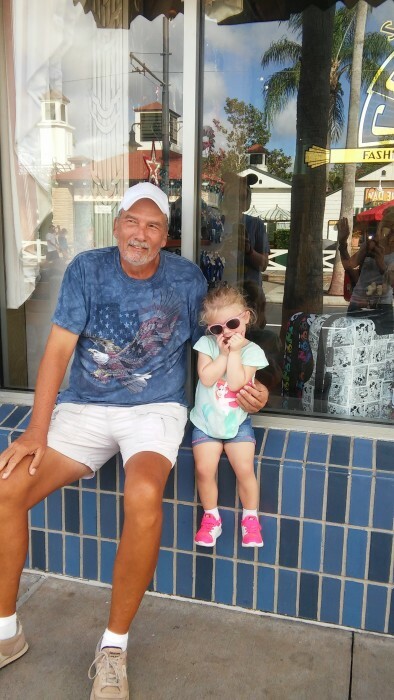 Memorial contributions may be made to the Ella Grace Swartz Education Fund at Bank of America in Dunnellon, FL.